About two years ago, I was asked to contribute an essay to a book in honor of Harvard legal historian Morton Horwitz. Long ago, I had been a student of Morty’s, and his scholarship has influenced me enormously. I am always, however, struck by the absence of women as historical actors in his works, and I wanted to use my essay to demonstrate the crucial importance of women legal progressives to sociological jurisprudence, legal progressivism, and constitutional change. I chose Florence Kelley (right) to begin this project, in part because of the rich scholarship which already existed on this social reformer and lawyer. 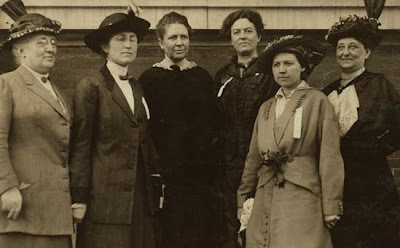 (photo credit) As my work on Kelley continued, I became more and more convinced that women social reformers were very much part of the story of legal progressivism and constitutional change. Moreover, some women deemed social workers or social reformers were actually functioning as astute legal actors and, at times, as lawyers. Below is an excerpt from my Florence Kelley essay, available in full here. I am currently working on writing Sophonisba Breckinridge (prior IntLawGrrls posts) into this story. We all know the story of the demise of substantive due process in the 1930s. Our story usually features heroes such as Louis Brandeis and Felix Frankfurter and the great male legal progressives of the day who rose up from academia, the bench, and the bar, to put an end to what historians label “legal orthodoxy.” In this essay, I demonstrate that Florence Kelley was a crucially important legal progressive who was at the front lines of drafting and defending new legislation that courts were striking down as violating the Fourteenth Amendment and state constitutions. Looking at who was drafting and lobbying for pathbreaking progressive legislation and how such legislation was being defended accomplishes a number of things. It uncovers how male legal actors at times worked closely and collaborated with women reformers. Furthermore, thinking about women reformers as central legal actors demands that we examine our own categorical thinking. Placing progressive-era women reformers in a non-porous women’s sphere -- while imagining that elite male legal thinkers were sealed within an all-male world of academics, lawyers and jurists -- distorts late nineteenth and early twentieth century legal culture and leads to what we might call “intellectual segregation.” This essay is thus a work of bricolage that brings together the scholarship on women’s leading roles in progressive-era reform with mainstream narratives of legal history. ► In part, male legal thinkers deeply struggled with questions involving legal rights, the common law, the role of judges, the redistribution of wealth, the Fourteenth Amendment, and the growth of an administrative state. ► Many women reformers did not have similar struggles and qualms. These women legal reformers had come to realize that custom, the common law, and courts had consistently thwarted women’s rights. Courts had: failed to grant women the right to vote; found that the Fourteenth Amendment did not protect women from discrimination; and often negated the Married Women’s Property Acts. By the turn of the century, elite women reformers had few illusions about law. Where men like Oliver Wendell Holmes, Jr. posited that custom and the common law served as a buffer between the state and the individual, many women legal reformers understood that custom and the common law blocked women’s struggles, for rights and, more generally, for social reform. Having a stake in the system, many progressive male legal thinkers reached such critical assessments regarding courts, the Constitution, and the common law more slowly. In contrast, Florence Kelley radically reinterpreted the Constitution as placing affirmative duties on the state. These duties required the state to provide for those material conditions which would foster true democracy. This radical vision, which Kelley had already set forth by 1905, is exceedingly modern; it defined the ways in which she would defend legislation from constitutional challenge and marry the philosophy of pragmatism, social science, on-the-ground reality, and law. Recognizing and incorporating women as legal reformers allows us to reexamine, reinterpret, and expand traditional narratives of legal history. ► How Kelley connected such laws to on-the-ground facts. 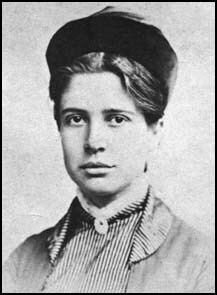 From the mid-1890s on, she identified “liberty of contract” as an empty phrase for workers without bargaining power, and she sought to restructure a system of rights based upon the needs of a democratic industrial society. She further recognized that the key to legal reform was presenting facts of industrial life to judges. 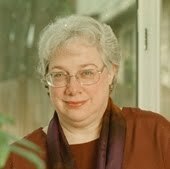 Women legal progressives such as Kelley, who stood outside legal academia and who devoted their lives to legal reform, functioned without such constraints, for they were already outsiders.